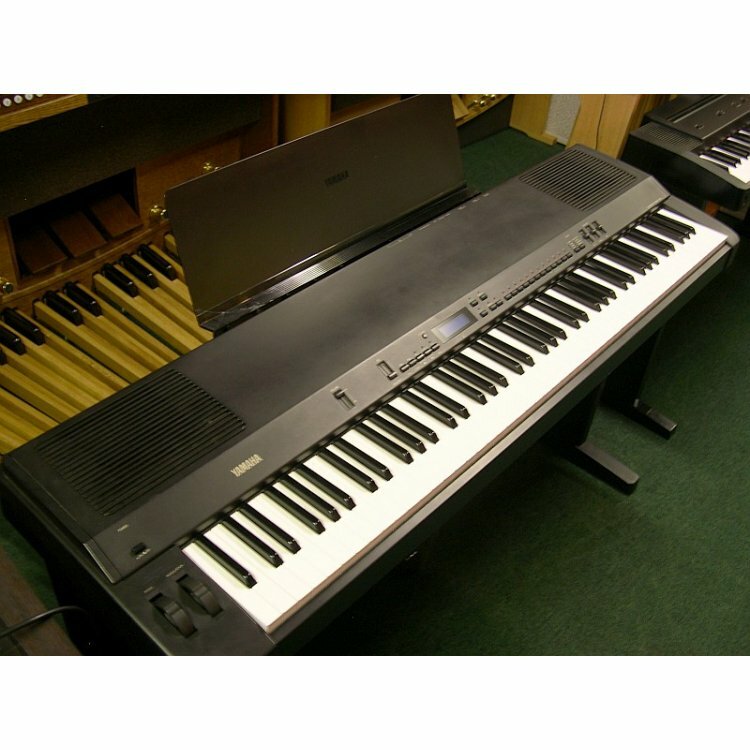 Yamaha P-150 digital piano with stand and sustain pedal. Includes the following features: full 88 keys with weighted action, adjustable keyboard sensitivity, three band graphic panel EQ, three stereo reverb effects (Room, State, and Hall), three stereo modulation effects (Chorus, Symphonic, and Tremolo), ability to create your own organ sounds, ability to store up to 24 configurations of Voice, MIDI, and other parameter settings and recall them with the push of 1 button, ability to connect sustain, sostenuto, or volume control pedals, and MIDI controls. Features the following sounds using Yamaha's AWM (advanced wave memory) technology: concert grand piano, various electric pianos, vibes, organs, strings and bass.